Keith J. Hayward is Professor of Criminology at the University of Copenhagen, Denmark, and Visiting Professor at universities in Australia, Brazil, and the United States. He has published widely in the areas of urban crime, criminological theory, spatial and social theory, environmental criminology, visual and popular culture, and terrorism and fanaticism. 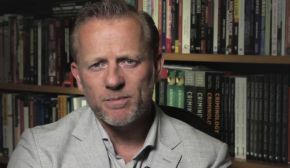 As one of the leading figures in the field of cultural criminology, he is particularly interested in the various ways in which cultural dynamics intertwine with the practices of crime and crime control within contemporary society; as a consequence, he has written on everything from the role of documentary filmmaking in criminology to the existential allure of ‘Jihadi cool’. Notable writings on urban crime and urban space include City Limits: Crime, Consumerism and the Urban Experience (London: GlassHouse, 2004), ‘Five spaces of cultural criminology’ (British Journal of Criminology, 2012) and most recently ‘The future of (spatial) criminology and research into public space’ (De Backer, et al, 2016). ‘Five spaces of cultural criminology’ British Journal of Criminology 52:3 (2012). City Limits: Crime, Consumer Culture and the Urban Experience (2004). ‘Situational crime prevention and its discontents: rational choice theory versus the “culture of now”‘ Social Policy & Administration 41:3 (2007).